In OTRS, go to your email signatures area. 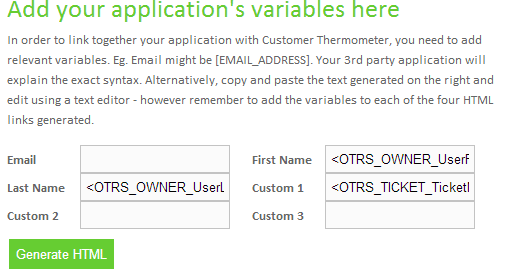 Create a new email signature and paste in the HTML code into OTRS helpdesk and click save. That’s it, your OTRS integration is ready to go.